It is really a crazy time of the year. With the hot weather in Cape Town (#watercrises2018) and the extreme cold weather in the UAE and Turkey, it is no doubt that we have a real challenge on our hands. What do we wear? There is however a weapon that all ladies have and that is shopping. There are tons of online stores so you have a choice to sit in front of your laptop and shop, but being at a mall and visiting different stores is so much more comforting. In simple terms it is called “retail therapy”. 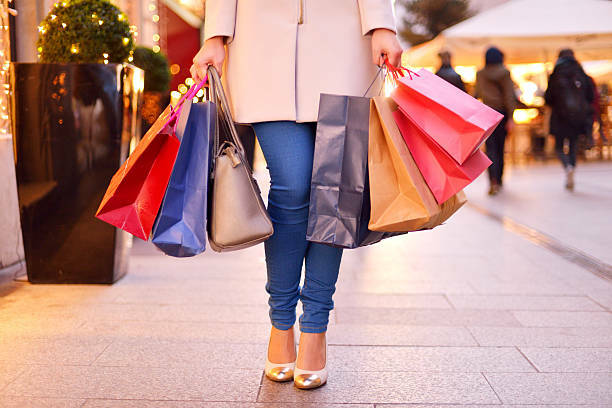 The ideal shopper is always prepared with a comfy pair of shoes, loose clothing and a body bag, which can be strapped across the shoulders to avoid any bumps into rails. Time is needed for this so plan a day just for shopping. If you are going with a friend it is even better as two minds are better than one. If you already know what you need, browse through several stores to find the best quality items. There may be the odd occasion that you come across something that would look nice on you in the future, but there is no harm in just looking. Always remember that you still have a budget and certainly cannot go overboard. Big bold words that say “Sale” or “Indirim” or “Discounts” may lure you into buying off that rail, but be careful; do the math first – there could be some items which are really not on sale. If you are like me, the bargain shopper, then it would mean walking through most stores to find the lowest price, but still wanting the best quality. Then you have “the researcher”, who would go the extra length to spend months on end doing research on prices, quality and trying to bag a bargain. However, based on the researcher’s intense price investigation, he might buy the item or wait till next year when the latest model is out. If you are an impulse buyer it could get you into some hot water, as you could buy things you do not actually need. You could wake up the next morning and realize that you still have debts to pay, but ended up buying something you would never use. For the negotiator, their sole purpose is to win the price battle with every salesperson. Most times, it actually helps and the negotiator would end up with a hefty or minimal discount, but ultimately he won so it feels good. Most of us are guilty of being a loyal shopper, which means having discount cards, point cards or membership cards for that particular store which you would buy from every month. Ultimately, you would want the best deal, but if you are used to the store layout and know exactly where to go for your item, then by all means do it this way. Then you get the man on a mission and that would mean a trip to the mall to buy only what is needed and head back home. No stopping and no browsing are allowed. Whatever type of shopper you are, make it a fun outing. Plan your shopping day to avoid stresses and time wastage. Enjoy your shopping day and may you get all the bargains that you hoped for.